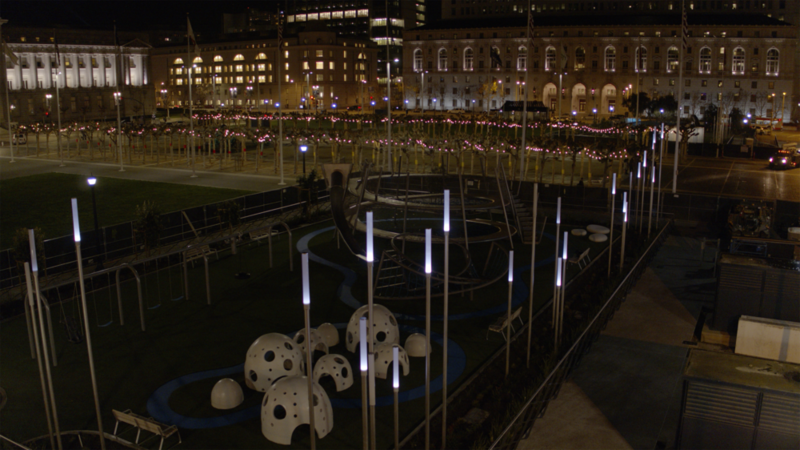 The “Pixel Poles” connect the two playgrounds with a forest of lighting fixtures spread across both playgrounds. 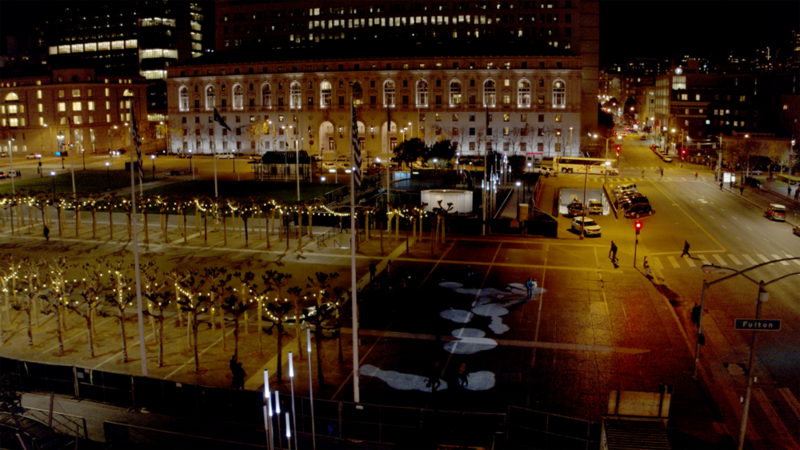 Animated light patterns integrate the two playground along with the projected light from KARL on the plaza in between. 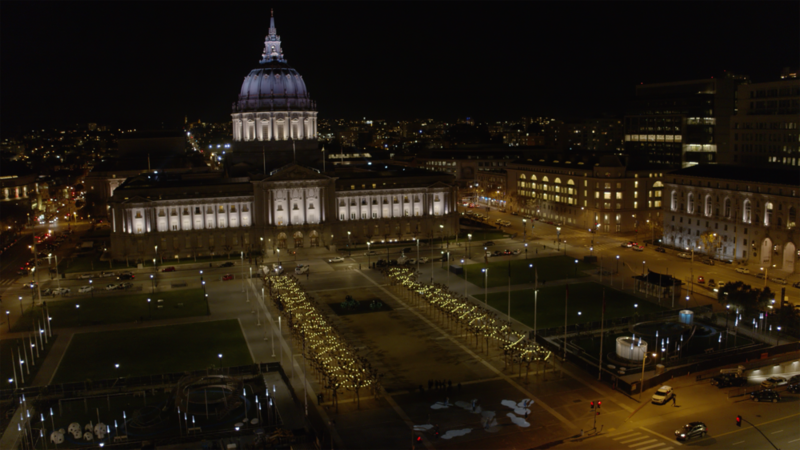 The installation gives a feeling of surprise with bursts of color as they respond to people’s movement, highlighting the level of civic activity. Each Pixel Pole leverages custom electronics and LED circuit boards to create the illusion of moving fogged trapped in the fixture.